It’s long past time for Gov. David Ige to insist on changes and improvement within the Department of Health’s care home regulatory branch. In media reports of the Hawaii State Auditor’s findings of how adult residential care homes are licensed by the state, words such as “scathing,” “shameful,” “searing, “major problems” and “seriously flawed” are used to describe the findings. The audit, released last week, found that many of the care homes operated without a valid license or with a license issued so quickly the requirements weren’t fully completed. State oversight is so inadequate that the Department of Health’s agency in charge of ensuring care home safety doesn’t enforce its own rules. Online postings of inspection reports are incomplete and erratic. And there is no uniform system to track inspections and update information. The most damning statement came from the state auditor himself. Hawaii Gov. 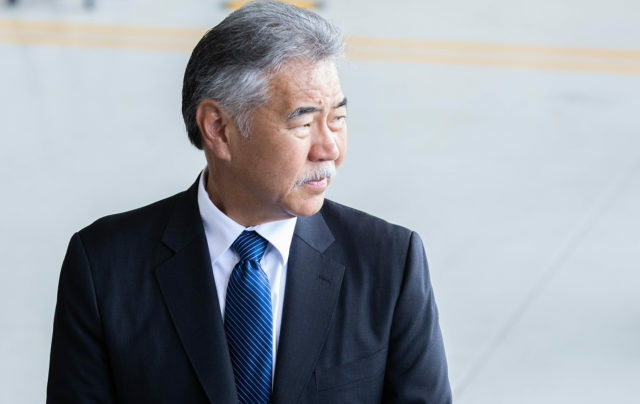 David Ige needs to immediately move to improve management at the Office of Health Care Assurance. Are you paying attention, Gov. David Ige? This happened on your watch, under officials appointed by you. And yet, care homes, some of them large nursing homes (which weren’t part of the audit but have been dinged by the federal agencies in the past), house our most vulnerable residents. Hawaii is among the top 10 states for the percentage of its population considered elderly. It’s not that the problems at adult care homes have gone unheralded. Civil Beat has published more than two dozen stories since 2013. One story explained how announced inspections failed to discover a resident who wasn’t properly being cared for and later died as a result. In a Community Voices published Monday, State Long Term Care Ombudsman John McDermott points out that problems with the DOH’s supervision care homes go back two decades. He says it is wrong for the DOH to delay conducting unannounced annual inspections until July 1, 2021. The audit confirms just how bad a job the state has done. Fortunately, the Hawaii Legislature has finally, if belatedly, acted. The governor signed into law Act 148 earlier this year that gives OHCA stronger and clearer enforcement tools over unlicensed care facilities. They include the power to have a court issue a search warrant to allow for a facility investigation, and financial penalties for compliance offenses. The state auditor identified nine recommendations for OHCA that start with the agency completing its annual inspection process — including acceptance of a care home’s Plan of Correction and confirmation that deficiencies have been corrected — before renewing a care home’s license. The governor will soon be sworn in for a second term, deliver his annual state of the state address early next year and inform the Senate of his appointments to run the DOH. Before then, he must move promptly to improve management at the Office of Health Care Assurance. We urge him to prioritize the care of our seniors and disabled.